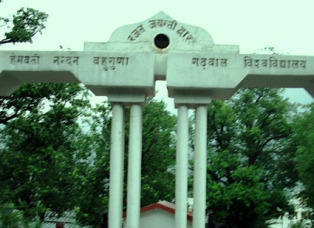 Hemwanti Nandan Bahuguna Garhwal University is the central university of the Garhwal Region in Uttarakhand. The Collages of university is in the many places of Garhwal region. Before some days university released the date sheet of upcoming Graduates and post- graduates’ examinations. And the final examinations are started from 10th April 2013. Now the university also releases the notification regarding to Amit Card of the students. As per the notification of university admit cards will be available from 3 April 2013 in all the collages of university. And the Admit cards of private exams BA, MA and M.Com will be available from 20th April 2013. For more information about Admit cards and exams students can also check the university website. Click here to go university website. For more updates about online downloads Admit card and other, kindly subscribe our site. And you can also follow us with your email addresses for news updates.